Th-INK-ing of You: Welcome to the ODBD Sept. Release! Welcome to the ODBD Sept. Release! Hello sweet friends! Can you believe it is September already? Where did summer go? Well I must admit that I am ready for cooler temps and that crisp evening air that comes during this season! This month's sets are perfect for fall! 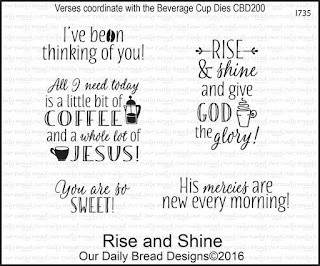 I am sharing one set, Rise and Shine, and a wonderful new die set, Beverage Cup. What's better on a crisp fall morning than a hot cup of coffee and your Bible in your lap, sitting on the porch while you have your quiet time? Yes, I do believe it's my favorite season! For the card below I again used Rise and Shine, and the Beverage Cup dies. Additionally I used the ODBD Flower Lattice Strip Die, a snippet from the Doily Dies, the Leafy Edged Border Dies, and the ODBD Vintage Ephemera Paper Pack. 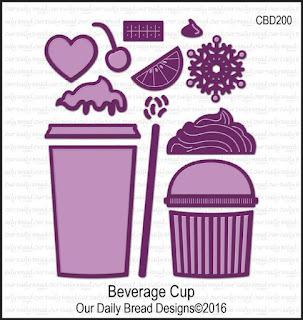 The dies in the Beverage Cup set are very versatile with lots of fun embellishments for your cup, which could be coffee or tea. I used some wrinkled seam binding to follow the line of my Leafy Edged curvy border, and I added some half pearl flourishes for my wafts and a little floral arrangement on my strip die. Can you smell the fresh ground coffee? I made my card in to a gift card holder so I could tuck in a gift card to a local coffee shop. I'm so thankful for friends and family who love to meet for coffee!!! It's one of my favorite things to do! To make this all I did was use the part I cut out for the front of the card's dark brown strip, and I purposely made that cut out such that I'd have enough left over to hold a gift card. I used the little heart die from the Beverage Cup set to cut out a window so the card peeks through. Simple but does the trick! I hope you enjoyed my samples, and if you have not seen the entire release you can view it HERE. As always, there are prizes!!! I love your first card! Very detailed and nicely done. The second card is great gift idea!!! Beautiful work! Always love all your cards! The gift card to a coffee shop is such a great idea! Such beautiful cards, Grace, as always. I especially like your idea of turning the second card into a gift card holder. I love your cards! Beautiful! Both cards are fabulous! I love that you made the second one into a gift card holder - such a great idea. I also love the pearls on this one! 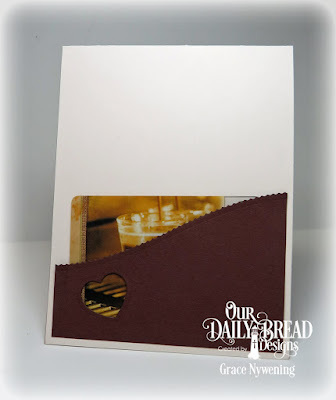 Love the curved layout and that pearl steam on your gorgeous card!! All three cards are great. I love the idea of a gift card. Your second care is so pretty. I love the pearls as the steam rising from the coffee cup. The first card is lovely. I like the cross tied in with the ribbon. The colors are excellent and the layers are beautiful. I keep seeing more details every time I look at it. 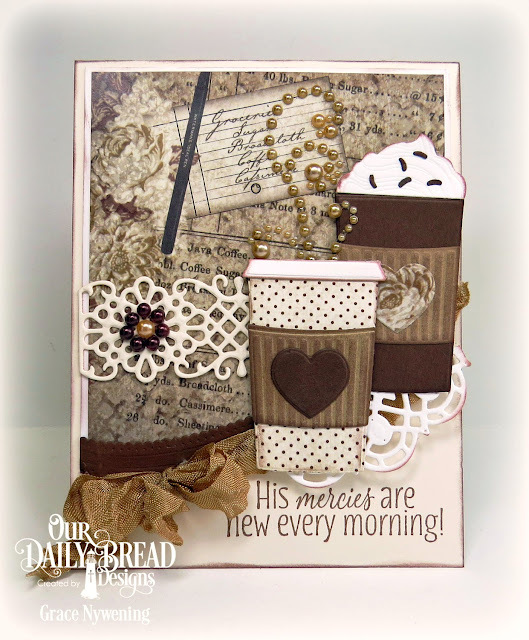 This New ODBD "Coffee" stamp and die set is my favorite. So verstile and lots of cute embellishment dies and darling sentiment stamps to go with it. You did a most fabulous job using it to create these adorable, fun and sweet cards. I love all the special little details you've included in your designs from snipping portions of dies, to you adding sequins and twirly pearls to your beautiful homemade bows. You really have a God given talent to create and inspire us with your gorgeous designs. I am so inspired everytime I see your work. Thank you for sharing your creative gift with all of us. Oh, Grace, your cards are so beautiful. The first one is my favorite. I adore the sentiment and the beautiful dies you used. The second one is pretty and I love the ornate die you used along with the pretty pearls. Oh Grace, you are such an inspiration and quite the genius creative lady! I love your gift card holder and the pearls for steam and your sweet layers! BEAUTIFUL!!! I also love the first card for your morning devotions! The cross embellishment is gorgeous and the colors are all so welcoming!! I love your cards sweet friend! I so can smell the coffee...think I need to refill my cup after this wonderful tour...:0). Love all the fun details you used on both, with the sequins and pearls with the steam, ribbons, tape, different parts of dies, the lovely little cross and great idea for a gift card inside...wonderful inside and out...TFS..:0)...Oh and had to say love your write up on your blog adn the neat poem only by the cross...LOVE it...TFS. Hi grace...wow...what beautiful cards...especially the first one with that gorgeous bow...and yummy cup...so good to see your cards hun!! Ohhh, I love your second coffee card! 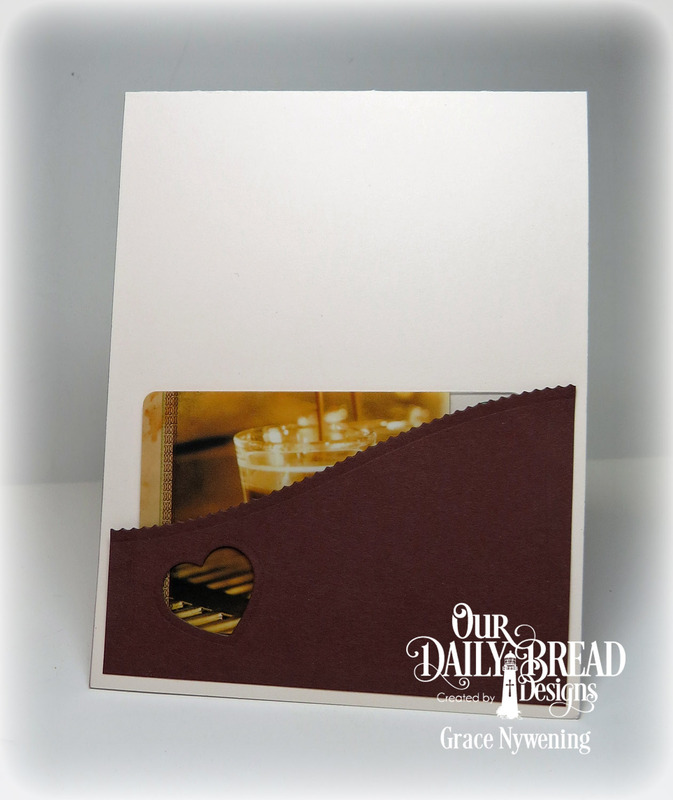 The background paper, your design of the cups, your embellishments, how you used the piece leftover from the front on the inside to make a gift card holder. I'm not a coffee drinker, other than a few mochas, but you make it enticing, and so pretty! Both cards are awesome Grace but AMEN! to the sentiment on the first card! Your cards are gorgeous Grace!! Your first is so elegant and beautiful!! So soft and full of detail. Your second with the two cups and the gift card in the inside makes the perfect gift presentation!! You are so talented my friend! Great cards. I loved reading about how you have coffee on a regular basis with your daughter even though you are two hours apart. What a treasure. I also love the idea of the gift card inside your second card. Grace, your cards are spectacular! Thanks for inspiring me! I like your embellishments on these cards. Grace your cards are amazing! There are so many lovely details to admire in your designs! I adore the gift card w/pearl steam! Very creative and always inspirational! Oh, wow, Grace, these are beautiful cards! 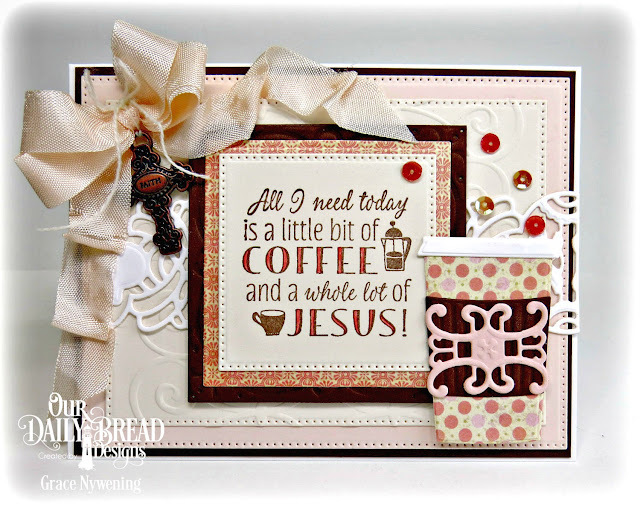 A fabulous stamp release and dies, I love them all! You've done a beautiful job with both cards, just love them! Hugs!!! Your cards are beautiful! I specially love the one done in browns. What pretty cards! They are both very very pretty! I've come to the end of the hop and I am thrilled to find you used some stamps no one else did! I love the verse about HIs Mercies being new every morning! What a great stamp!! And what a great idea to include a gift card for a coffee shop! Great thinking! And the other design is simply beautiful. We ABSOLUTELY need a "whole lot of Jesus" every day!!! And your design is SO beautiful to showcase that sentiment! From the big pretty bow to the cute coffee cup, everything element of the design is lovely!! Beautiful cards!! The coffee cup is lovely!! Nice vintage look..
Oh, Grace...your first card is so sweet with the blush and cream colors. The second is so elegant with the pretty papers, curvy border, and pearl flourish, what special coffee times you share with your daughter. Both coffee creations are gorgeous, my sweet friend! both cards are gorgeous! love the sentiments! 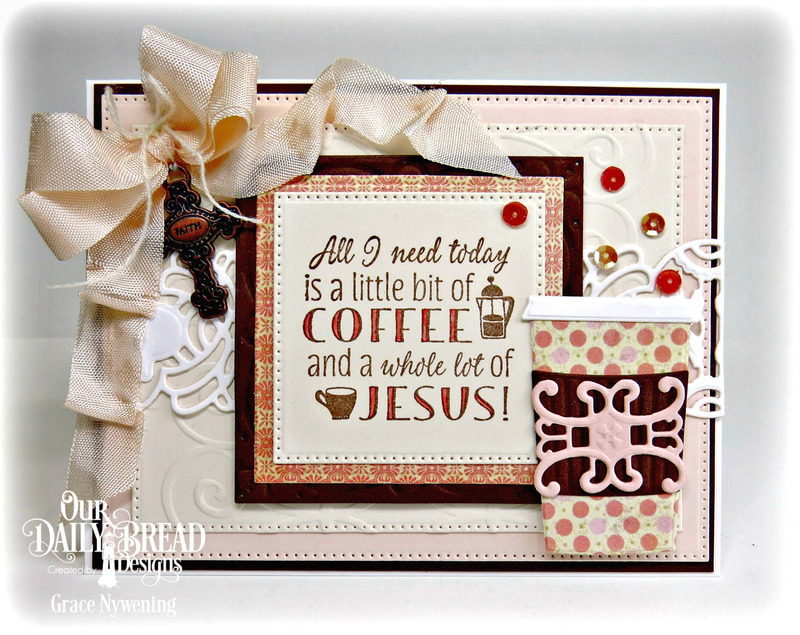 Grace your cards are wonderful - love that set and am seriously considering sending for it - eventually. love that you can share with your daughter in such a wonderful way. My daughter and I are currently walking together two or three times a week and I love those times sharing with her. This is a beautiful way of giving! Two beautiful samples, Grace! Love the gift card idea! I know the hop is over. That's okay. I have been a bit yucky for a few days. I am writing to tell you how much I love your coffee cards. I live in WA. State, coffee stands are everywhere. I love your love for the Lord. Oh what amazing cards made with such love and talent that God blessed you with. thank you for sharing your beautiful cards. As always, Beautiful, amazing cards!